The Volkswagen Golf GTI may be a hot hatch icon but it hasn’t had things all its own way in recent years. A new class of premium super-hot-hatch has emerged above it with at least half as much power again, and in its own back yard the likes of the Seat Leon Cupra and even the Hyundai i30 N have bloodied its nose. 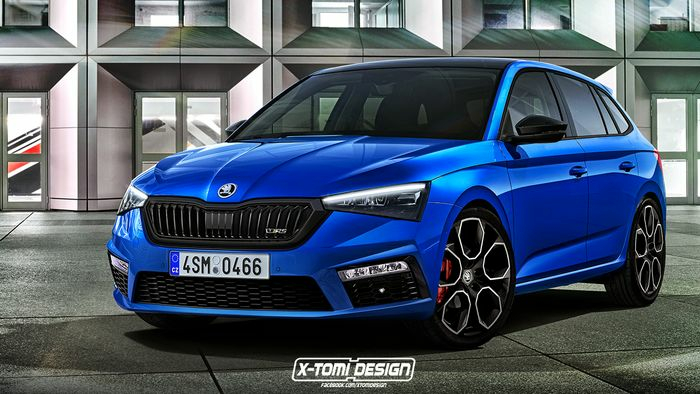 Skoda hasn’t yet said a public word about the possibility of a vRS (or just RS, in mainland Europe) version of its new, more premium Scala hatchback, but designer X-Tomi has metaphorically pencilled what one might look like. Could a Scala vRS be diesel, like the Kodiaq vRS? 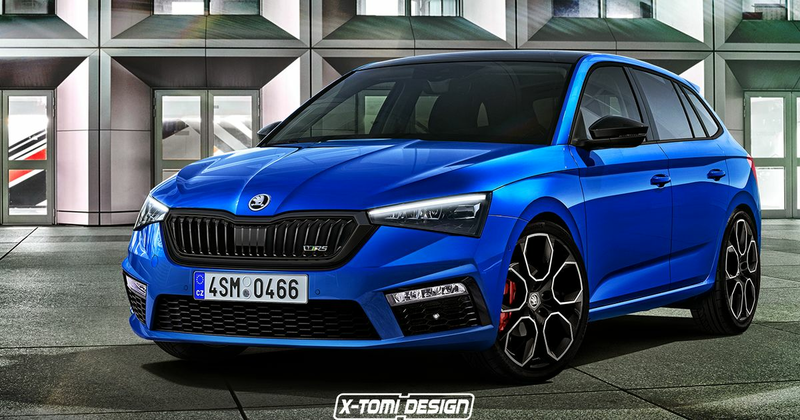 Wearing huge vRS wheels, black bodywork details, a lower ride height and, naturally, a little green and red vRS badge on the front grille, the Scala looks pretty awesome to us. Power could come from a turbocharged 2.0-litre EA888 petrol, or potentially a high-performance version of the VW Group’s 1.5-litre unit that already tops the Scala range with 148bhp. 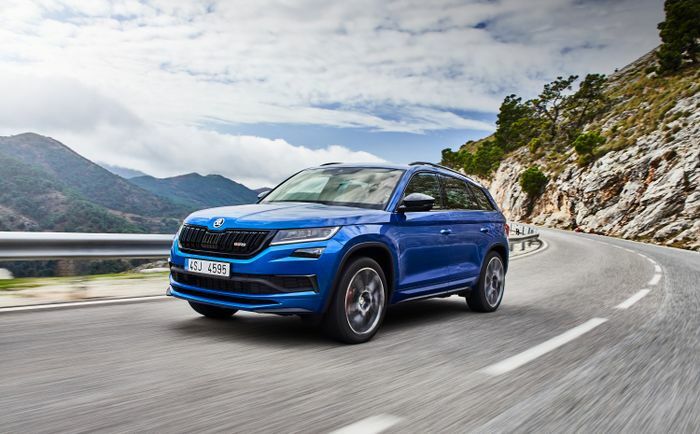 It could even, feasibly, go diesel and follow in the footsteps of the Kodiaq vRS. It would use a four-cylinder diesel with around 170bhp and a big wedge of torque to recreate something of the first Fabia vRS’s winning DNA. Stay tuned: Skoda, it’s over to you.